Days Inn offers everything you need for a restful nights stay at an affordable price. We want to be your Home away from home. Try us once and you will keep coming back. The Days Inn of Hickory/Conover welcomes you either overnight or for an extended stay. We are centrally located in the Foothills of the Blue Ridge Mountains amidst the tourist havens and commerce center of Western North Carolina. Relax and enjoy our comfortable, well-appointed rooms with either two queen beds or one king size bed. Rooms are available for smokers or non-smokers. We also feature pet-friendly rooms for those traveling with four-legged loved ones. Pets accepted with a 15.00 fee per pet/per day -- Limited number of pet friendly rooms. There is a nominal safe fee. 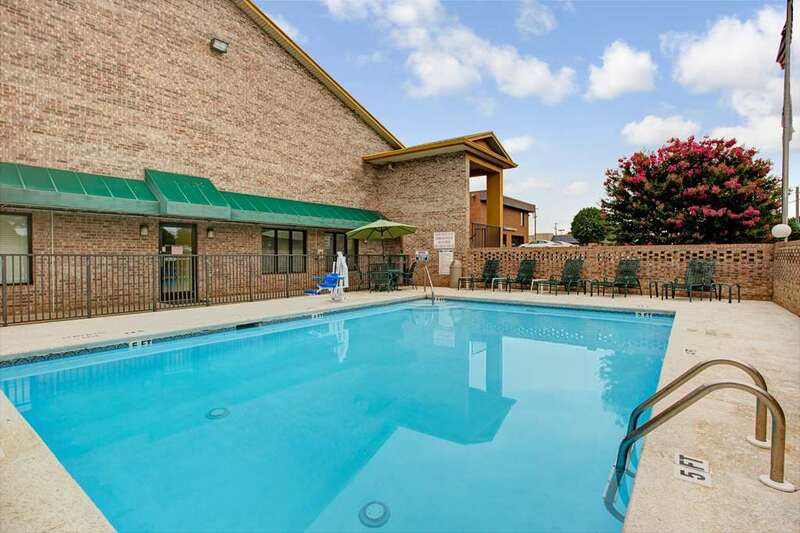 Whether you come to the Hickory/Conover area for business or for leisure activities, you will find yourself conveniently located to shopping, dining, entertainment and corporate facilities when you stay with us. We offer very competitive rates and have special rates for Hospitals, Colleges, Sporting Venues, and the Corporate traveler. We also offer discounts for AAA and AARP members. This hotel is only a few minutes away from the Hickory Furniture Mart, the Hickory Motor Speedway, the Valley Hills Mall, and the Catawba Valley Medical Center. All rooms have complimentary Refrigerators, as well as numerous other amenities. Jacuzzi Suites and Business King Suites are available. Easy on/off access to I-40 - exit 128 Fairgrove Church Road - as we are right off of Hwy 70.